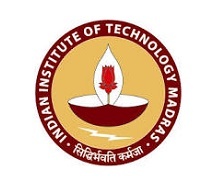 Indian Institute of Technology, Madras (IIT-M) organized ‘Startup Expo’, the first big event managed by their E-cell (Entrepreneurship cell) during 2-3 April 2016 at their campus. Startups showcased their products and ideas, and demonstrated in their booths/stalls. Shyam Sekar, Founder and Chief Mentor was invited to take part on two separate events of this Startup expo initiative. First is to be a ‘mentor and judge’ for their Startup ‘Pitch fest’, and then to be a key ‘speaker’ for their boot camp day. Shyam presented on the topic ‘what it takes to build a successful startup in today’s ecosystem?’ to numerous startup enthusiasts, aspiring entrepreneurs, and startups. In total there were 12 products/solutions presented by IIT students and external startup teams.